Thales Leites and Chris Camozzi will go to war this Saturday (Aug. 6, 2016) at UFC Fight Night 92 inside Vivint Smart Home Arena in Salt Lake City, Utah. In a match up of long-time Middleweight veterans, what adjustments must be made for either man to claim victory? Find out below! Ultimate Fighting Championship (UFC) Middleweight veterans Thales Leites and Chris Camozzi will scrap this Saturday (Aug. 6, 2016) at Vivint Smart Home Arena in Salt Lake City, Utah. After a sensational start to his second UFC stint, Leites has come up short in his last two bouts. While he’s not likely to be cut (again), this bout is a must win for the Brazilian if he’s to remain a player in Middleweight division. Camozzi has looked better than ever in his last three bouts, as the 29-year-old may finally be hitting his stride. 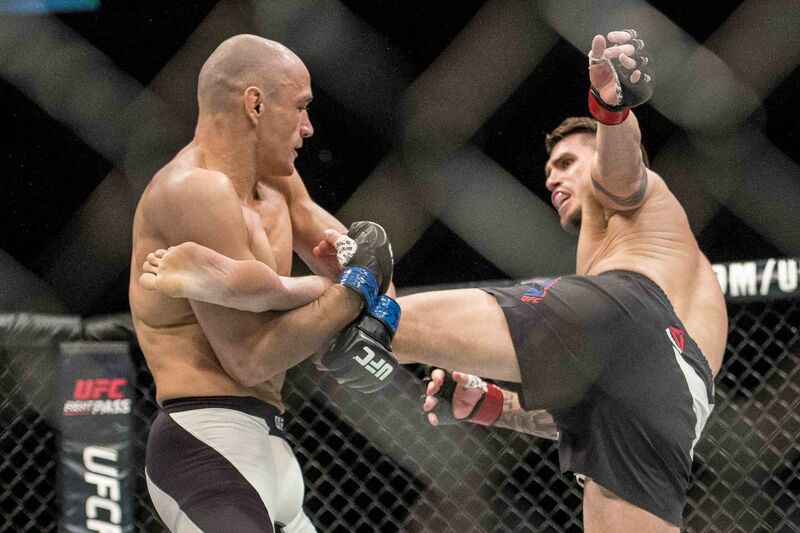 Offered a step up in competition that was not “Jacare” Souza, Camozzi was hoping to impress. Keys to Victory: Leites is a very dangerous jiu-jitsu fighter with 14 submission victories to his credit. In addition, Leites’ striking skill has greatly improved in the last few years, as he’s learned to put some pop behind his clinch brawling. In this bout, however, it should be Leites’ grappling that carries him to the victory. While Leites has definitely improved on the feet, he’s more of an aggressive slugger than refined technician. Simply put, Leites may be able to punch and low kick pretty hard, but he’s not likely to knock out or out-point Camozzi on his feet.